Did you know that if you own a classic car, the cost of your Classic Car Insurance could be just a fraction of the cost of a regular auto insurance policy? Yet the insured amount could be significantly higher than a regular auto’s value. Put another way, that means if your classic car is insured on your regular auto policy you’re likely paying too much to insure it. But if it’s seriously damaged or written off, you won’t get as much money back from the insurer. If that sounds crazy, it’s because of the way Classic Car Insurance works. A standard auto insurance policy just doesn’t take into account the collectible value of your car, the hours you spent working on it and customizing it. And that it didn’t just take your time — it also took a lot of money. At Secure Insurance Solutions, we take the time to customize your Vintage Car Insurance policy. We’ll look at your car’s value and the kilometres you drive each year. Then we’ll make the adjustments to ensure you only pay for what you need — the annual drive to a car show or the daily cruises in the summer. Some drivers take their cars out in fair weather, while others only take it out for the occasional pleasure ride. Others only take it to a car show once a year. No matter how you use your classic car, we’ll get you the Classic Car Insurance that fits your situation. In other words, you’ll pay less for your insurance but get higher value coverage than on a standard auto policy. Vintage, antique and classic car owners often ask us questions like: Do I need classic car insurance? 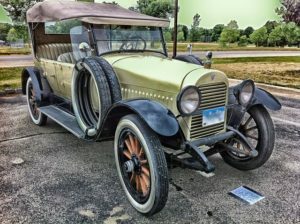 Does my car qualify for classic car insurance? 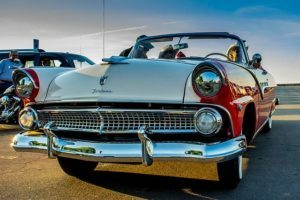 What are the classic car insurance requirements? Answer: Yes, if you own an older collectible car that is not your main vehicle and you want to both save money and protect its value. The value is set at either a figure agreed between you and the insurance company, or a figure set by an independent appraiser. This is known as the Agreed Value Basis (AVB). What are the Classic Car Insurance requirements? Limited usage. You can’t use it daily as your main auto. It can be used for shows, exhibitions and the occasional pleasure outing but that’s it. Different insurers may stipulate km limits. You may have to prove that you own and use another vehicle. Good driving record. Insurers differ on precise rules but generally you must have 10 years’ driving experience, with no major problems or penalties in the past 3 years. Original. The insurer may want a certain proportion, such as 50% of the vehicle, to be original parts. Want big savings and better coverage for your collectors car? If you want to know if you qualify for Classic Car Insurance, we can tell you instantly, and give you a competitive quote for your coverage. Click on the no obligation Free Quote request button now. We’ll give you a reasonable price for Antique Car Insurance to protect your invaluable car.